One on One Sessions and Group Sessions Available! Southwestern Music Therapy, L.L.C. is a private practice, established to provide quality Music Therapy interventions and programs to those in need of such professional services in the Dallas-Fort Worth, Houston, Austin, and Atlanta metropolitan areas. In addition, Southwestern Music Therapy, L.L.C. aspires to maintain the integrity of the profession and to educate the general public about the positive, proven results of Music Therapy. Our highly trained team of Board Certified Music Therapists develop and implement goal driven specialized programs and interventions which are designed to maximize each client's potential. Marcie received her Bachelor of Music degree in Music Therapy with an emphasis in voice, from Arizona State University in 2001. She continued her studies in Music Therapy by becoming certified as a Neurological Music Therapist under the mentorship of Dr. Michael Thaut. This certification is very rare as only a small percentage of Music Therapists have been able to attain this designation. Marcie has been practicing Music therapy for more than 13 years within a variety of settings and special needs populations. Her skills are flexible enough to accommodate all levels of disabilities and rehabilitative needs. Since most of Marcie's clients have been on the autism spectrum, she is considered a specialist in this field. Marcie continues to educate the public by providing live music therapy sessions and giving talks regarding the benefits and proven results of Music Therapy. She currently owns a private practice called Southwestern Music Therapy, L.L.C. 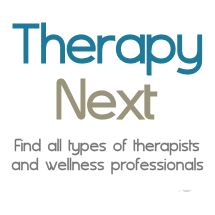 with an amazing team of therapists serving families and facilities in the Dallas/Forth Worth, Houston and Austin and Atlanta metropolitan areas.